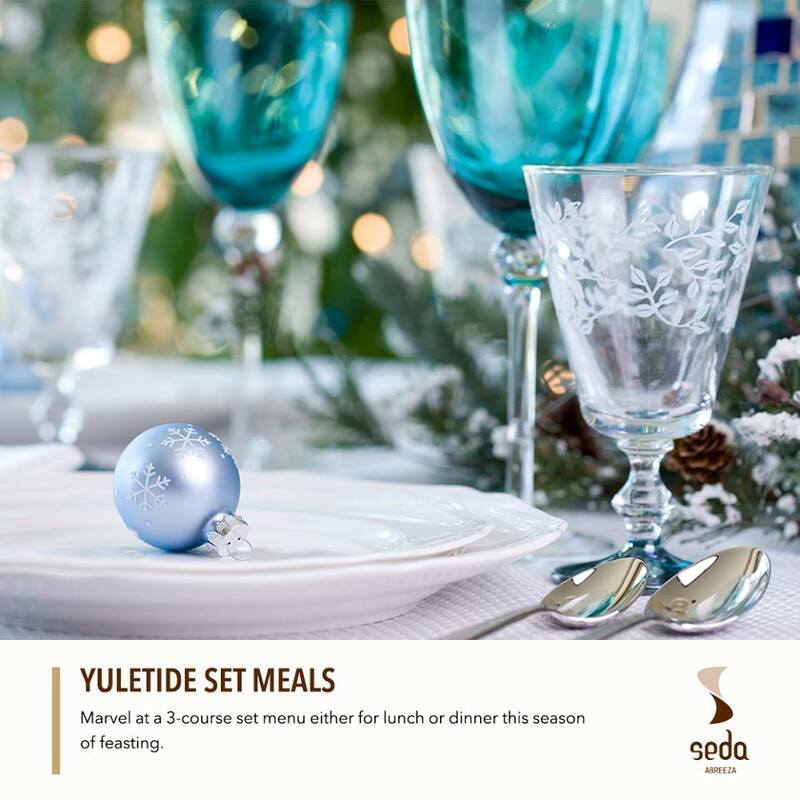 Seda’s yuletide set meals start at P880. 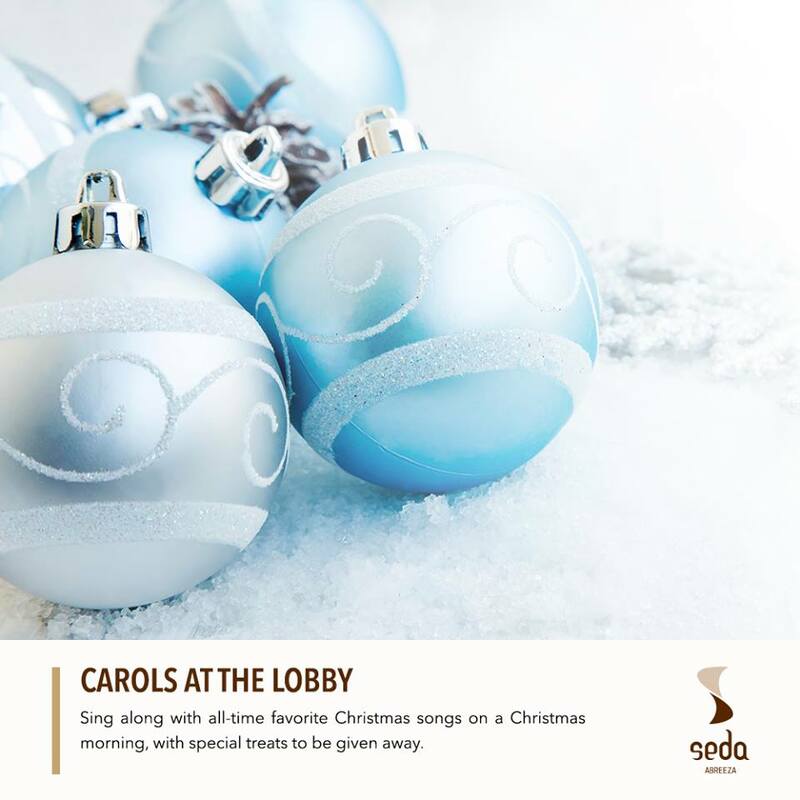 Perfect for chill family get togethers or for treating your best clients out. 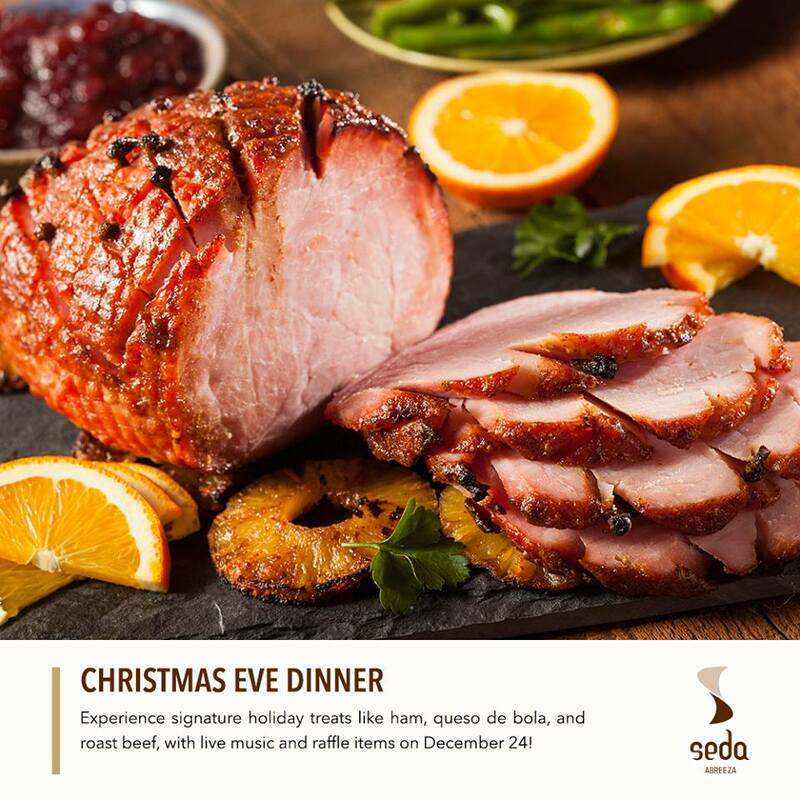 Take a break from all the heat, cooking, and cleaning up, and celebrate your NOCHE BUENA at Seda! Free for kids aged 6 years old and below. Sparkle your way to 2017! 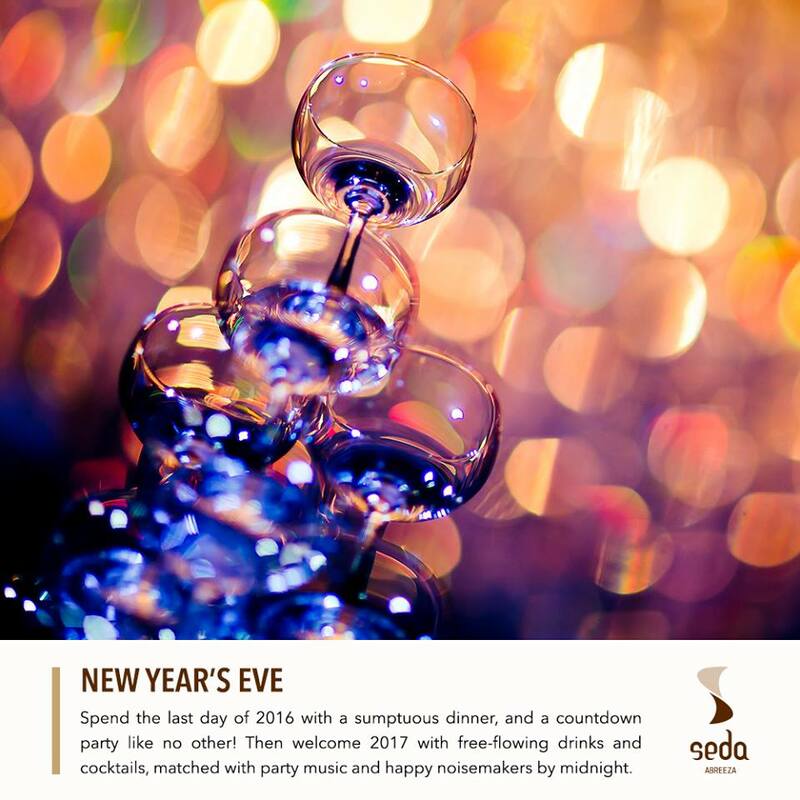 Seda Abreeza gives you the best New Year’s Eve Dinner and Countdown Party this December 31st, 2016. Experience a white and gold “Gliterrati” Party with free-flowing drinks, wide array of cocktails and desserts, and a party band and DJ to play the beats. Make sure you’ve got someone cute to kiss once the clock hits 12! See you!